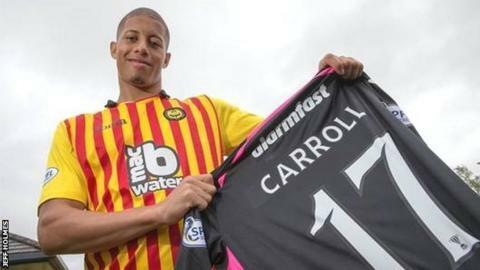 Partick Thistle have signed Irish left-back Jake Carroll on loan from Huddersfield Town until January. The 23-year-old was at Bury on a month's loan last season from Huddersfield, the club he joined from St Patrick's in his homeland. Carroll made more than 50 appearances for the Irishmen, including Europa League matches. He will go into the Jags squad to face Aberdeen on Saturday if Thistle receive international clearance in time.